A brush that makes a visible difference! This high-quality 24-in 360 Brush-A-Round Pool Brush is light weight, sturdy and effective. No dirt will escape your reach. The innovative 360 degree cleaning capability with built-in corner brushes make cleaning tight corners, walls and steps effortless. The 5 rows of long-lasting polypropylene bristles and heavy-duty brush feature a unique pole connection. Simply attach the brush to your telescopic pole (not included) and scrub dirt or debris away from virtually anywhere in or around your pool area. This pool brush will deliver years of reliable cleaning power. The perfect tool Guaranteed to help keep every inch of your pool area clean and debris free. The Ultimate Leaf Bagger gulps up leaves fast for easy clean-up! Just attach your garden hose and telepole to the base of the unit and turn on the water. Perfect for quick, easy spring clean-ups. Super large capacity mesh bag and 15 in. diameter vacuum gets the job done fast! Use the Leaf Bagger in concrete and vinyl liner pools. Comes complete with handle quick-release Snap-Adapt handle and leaf bag. For dispensing chlorine to maintain clean, healthy pool and spa water. Adjustable-release ring gives you control of the level of chlorine needed for proper balance of chemicals. The twist-lock cap is easy for quick refilling as needed. The poly-foam inner core keeps the dispenser upright and buoyant. The non-corrosive outer body withstands harsh UV light and chemicals. 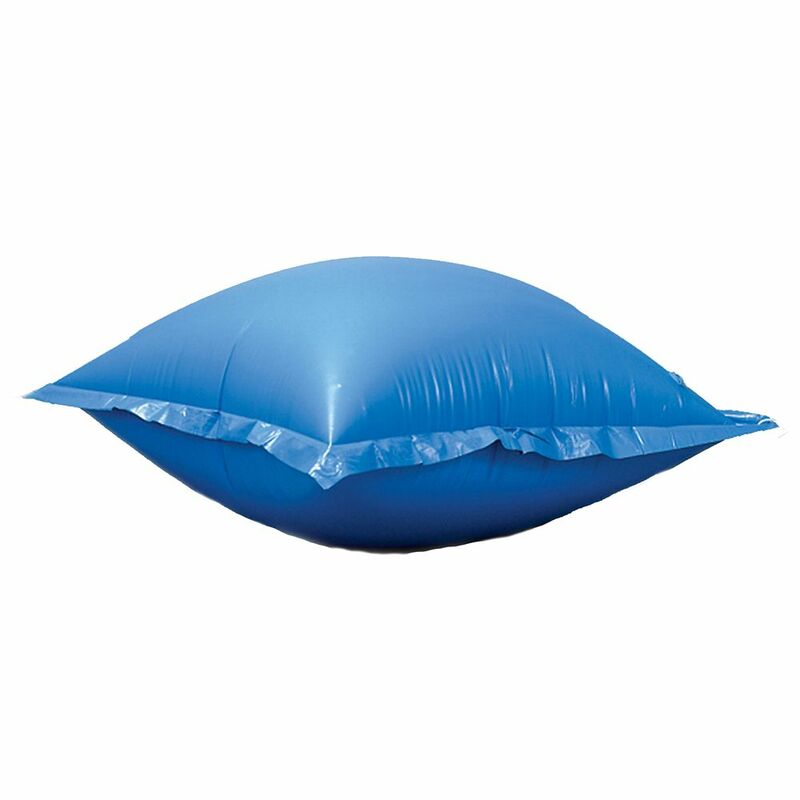 4 ft. x 4 ft. Air Pillow for Above-Ground Pool is rated 1.8 out of 5 by 5.